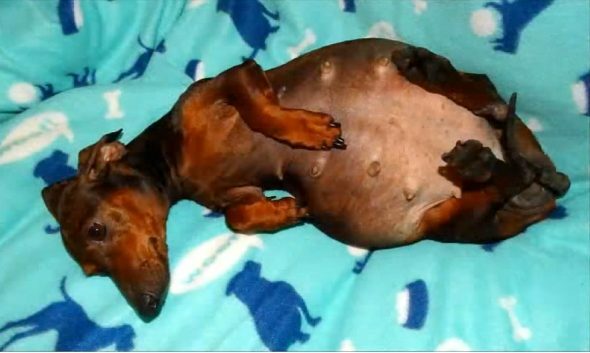 Maria, a Dachshund used as a breeding machine, was pregnant and paralyzed. 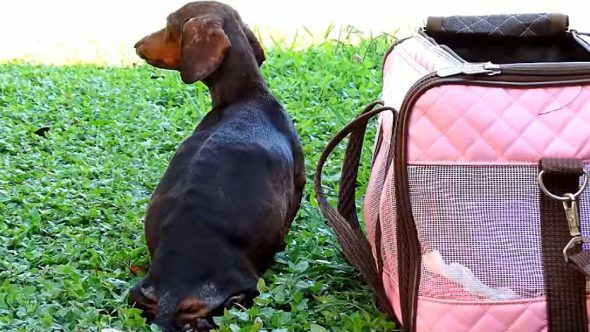 When her owners realized that it would cost $3,000 for a C-section to be performed, they abandoned her. Fortunately she was rescued, and her tale has a truly happy ending. In addition to being dumped and scared, Maria was malnourished and her skin was crawling with fleas. She was anemic because they had feasted on her for so long. Rescuers at Emma Cleft Palate Chihuahua gave her a nice, soothing bath, getting rid of many of the parasites in the process. 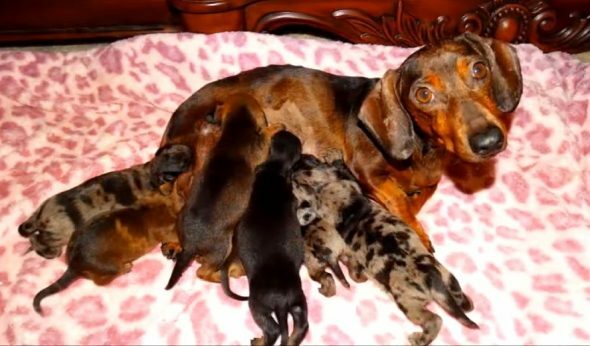 Not long after being rescued, Maria gave birth to seven healthy, adorable puppies. 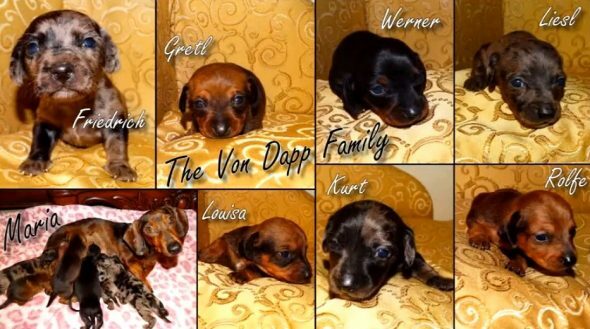 They were called the Von Dapp family (after the Von Trapps from The Sound of Music, but dappled). They were adopted in no time at all. Maria required some extra care, but with all the love and help she received, she regained her ability to walk….. and run! And boy, did she! She could hardly contain her joy at no longer having to drag her back end around all the time. What’s more, she found a home, too.